Lily Medical History - Lily Medical Supplies in 2007. • We got approval of ISO14001. Lily Medical Corporation in 2013. 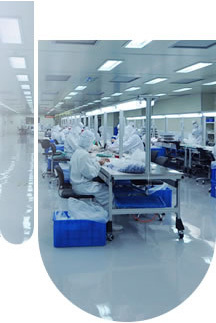 Audix Group was merged with Lily Medical Supplies in 2007. On June 2004 we got approval of FDA. We also passed the ISO13485 & ISO 9001 in 2003. We have passed CE verification of Europe in 2003. We got approval of G. M. P. in 2000.